Punjab Chief Minister Captain Amarinder Singh on Monday welcomed the conviction of Sajjan Kumar in the 1984 riots, terming it a case of justice finally delivered to the victims of one of the worst instances of communal violence in independent India. 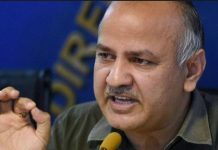 The reversal, by the High Court, of the earlier acquittal of Sajjan by a trial court had once again proved that the judiciary in India continues stand tall as a pillar of the nation’s democratic system, said the Chief Minister. 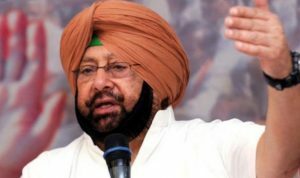 Reacting to the Delhi High Court judgement awarding life term to the former Congress MP, Captain Amarinder said the conviction vindicated the stand he had been taking since those dark days of the violence perpetrated on thousands of innocent Sikhs in the wake of the assassination of former Prime Minister Indira Gandhi. 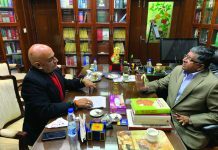 He had been naming Sajjan Kumar, along with a few other former Congress leaders including Dharam Das Shastri, HKL Bhagat and Arjun Das, for the past 34 years, based on the information he had personally received from victims in refugee camps in Delhi during the riots, said Captain Amarinder, hailing the long-awaited verdict. Incidentally, Sajjan Kumar was the only surviving former Congress leaders implicated in the riots, as the others had since passed away. The name of Sajjan Kumar had repeatedly cropped up in his interactions with the victims in the refugee camps, said Captain Amarinder, who had last month also welcomed the first death sentence awarded in the 1984 riots case. Captain Amarinder had, through the years, been calling for the strictest of punishment for the handful of individual Congress leaders who had been involved in instigating the riots. These leaders, who included Sajjan Kumar, did not have any official party sanction and deserved to be punished for their horrendous crime, the Chief Minister had maintained all along. The Chief Minister, however, reiterated his stand that neither the Congress party nor the Gandhi family had any role to play in the rioting and lashed out at the Badals for continuing to drag their names into the case at the behest of their political masters – the Bharatiya Janata Party, who were clearly shaken by the clear mandate given by the people to Rahul Gandhi’s leadership in the recent Assembly elections in three states, said Captain Amarinder. 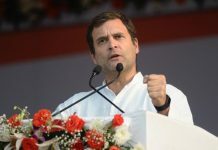 There was no Congress conspiracy behind the violence and the names of the Gandhis did not come up even once during his visits to the refugee camps, said the Chief Minister, adding that it was vested political interests that had been trying to draw the Gandhi family into the controversy and the conspiracy for their personal motivations.